February 4, 2010 by Ken Ward Jr. While the rest of us were focused on President Obama’s big meeting with West Virginia Gov. Joe Manchin and other energy state governors, U.S. District Judge John T. Copenhaver issued a pretty significant ruling in a water pollution case against a Fayette County coal operation. The ruling, which I’ve posted here, again supports the notion that private deals the West Virginia Department of Environmental Protection works out with coal companies to resolve water pollution violations do not prevent citizen groups from filing their own Clean Water Act lawsuits to try to force companies to stop violating permit limits. January 19, 2010 by Ken Ward Jr. Given the numerous challenges working against any substantial recovery of the region’s coal industry, and that production is projected to decline significantly in the coming decades, diversification of Central Appalachian economies is now more critical than ever. State and local leaders should support new economic development across the region, especially in the rural areas set to be the most impacted by a sharp decline in the region’s coal economy. It’s must-read material for anyone who cares about the future of the Appalachian coalfields, and especially for elected officials who keep hoping that the next coal boom is just around the corner. After strong and increased production through the mid-1990s, regional production last peaked in 1997 at 290 million tons. Even as national production continued to grow, by 2008, Central Appalachian production has fallen 20 percent to 235 million tons. Recent projections indicate that — despite substantial coal reserves — annual production may decline another 46 percent by 2020, and 58 percent by 2035, to 99 million tons. Should substantial declines occur as projected, coal-producing counties will face significant losses in employment and tax revenue, and state government will collect fewer taxes from the coal industry. State policy-makers across the Central Appalachian region should therefore begin taking the necessary steps to ensure that new jobs and sources of revenue will be available in the counties likely to experience the greatest impact from the decline. While there are numerous options available, the development of the region’s renewable energy resources and a strong focus on energy efficiency offer immediate and significant opportunities to begin diversifying the economy. Coal has contributed significantly to local and state economies in Central Appalachia, but production has fallen substantially over the last 12 years as other coal basins and sources of fuel have become more competitive. This trend is expected to continue as mining costs increase due to the depletion of the lowest cost coal reserves, and as new environmental regulations are implemented. As this happens, local and state economies will need new sources of jobs and revenue to replace coal mining jobs and taxes. Given that coal production is projected to decline significantly in the coming decades, diversification of Central Appalachian economies is now more critical than ever. 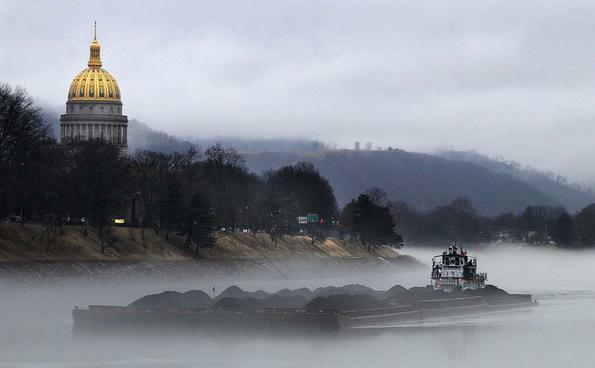 State leaders should use this legislative session to increase support for new economic development across the region, especially in the rural areas set to be the most impacted by a sharp decline in the region’s coal economy. We’ve talked a lot on Coal Tattoo about the concept of “peak coal,” and about what greenhouse gas limits and new restrictions on valley fills would mean for the coal industry and the region as a whole. We’ve discussed options for “green jobs” in the coalfields, including an op-ed Evan co-wrote about an abandoned mine cleanup project that Downstream Strategies was working on as one example, and Rory’s project in his former job promoting the Coal River Wind Project (and Evan’s report on the economic benefits of it). When will Massey’s water pollution violations stop? 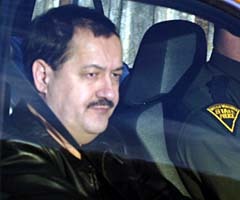 January 14, 2010 by Ken Ward Jr.
Well, Massey Energy Chief Executive Don Blankenship is at it again … writing letters to the editor wrongly arguing that the planet is cooling and tweeting away his attacks on the federal government. At the same time, a new legal action against his company has revealed that Massey’s water pollution violations have become more frequent since a record $20 million Clean Water Act lawsuit settlement with U.S. EPA. As I pointed out before, when the settlement was announced, federal government lawyers predicted it would force Massey to clean up its act. Remember that the EPA lawsuit — alleging more than 60,000 days of water discharge violations over a six-year period — was hardly the first enforcement action against Massey. Among a long list of other such actions, two Massey subsidiaries had pleaded guilty previously to criminal violations of the Clean Water Act. January 11, 2010 by Ken Ward Jr.
Federal environmental regulators believe a record $20 million fine, new pollution monitoring requirements and the threat of automatic penalties for additional violations will force Massey Energy co. to change the way it does business. Well … it hasn’t turned out that way, at least according to a new formal Notice of Intent to Sue sent to Massey last week by the Sierra Club, the Ohio Valley Environmental Coalition, Coal River Mountain Watch and the West Virginia Highlands Conservancy. Remarkably, Massey’s violations have grown more frequent after the settlement with EPA than they were before EPA brought its enforcement action. The West Virginia Department of Environmental Protection announced yesterday that it’s having a public hearing next week on the air pollution permit for the TransGas Development coal-to-liquids plant proposed for Mingo County. That’s right — the hearing is NEXT WEEK, as in Thursday, Dec. 17. Contrary to The Associated Press report (which unfortunately got posted on the Gazette Web site), the hearing is NOT tonight. As Coal Tattoo has reported before, this plant as proposed does nothing to address the increased greenhouse gas emissions that come from turning coal into a liquid transportation fuel. But coal industry supporters are pushing for it anyway, and the WVDEP Division of Air Quality proposes in its permit to do nothing to limit the plant’s carbon dioxide emissions or make the developers somehow address this issue. The WVDEP’s draft permit and engineering evaluation are available on the agency’s Web site. December 3, 2009 by Ken Ward Jr.
And change is undeniably upon the coal industry again. The increased use of mountaintop removal mining means that fewer miners are needed to meet company production goals. Meanwhile the Central Appalachian coal seams that remain to be mined are becoming thinner and more costly to mine. Mountaintop removal mining, a declining national demand for energy, rising mining costs and erratic spot market prices all add up to fewer jobs in the coal fields. November 18, 2009 by Ken Ward Jr.
A new report out this morning from the group Physicians for Social Responsibility outlines an “assault on human health” by the mining of coal, the burning of coal and the disposal of coal’s waste products. Electricity provides many health benefits world-wide and is a significant contributor to economic development, a higher standard of living and an increased life expectancy. But burning coal to generate electricity harms human health and compounds many of the major public health problems facing the industrialized world. Detrimental health effects are associated with every aspect of coal’s life cycle, including mining, hauling, preparation at the power plant, combustion, and the disposal of post-combustion wastes. In addition, the discharge of carbon dioxide into the atmosphere associated with burning coal is a major contributor to global warming and its adverse effects on health worldwide. 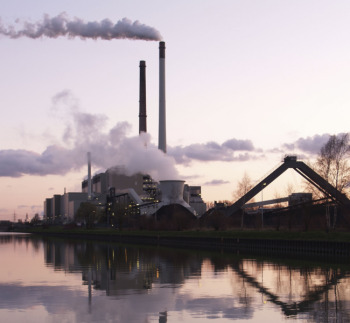 Among other adverse effects, the report links coal pollution to: Asthma, stunted lung development, infant mortality, lung cancer, abnormal heart rates or heart attacks, congestive heart failure, stroke and developmental delays. Physicians for Social Responsibility is a non-profit advocacy organization that is the medical and public health voice for policies to prevent nuclear war and proliferation and to slow, stop and reverse global warming and toxic degradation of the environment. They’ve posted their complete report, “Coal’s Assault on Human Health” here. It was being released this morning during a press conference at the National Press Club in Washington, D.C.
October 19, 2009 by Ken Ward Jr.
Coal industry lobbyists and coal-state politicians like to remind us that coal is a relatively cheap source of energy. But in a major new report out today, the National Academy of Sciences details some of the huge “hidden costs” of coal: More than $62 billion a year in “external damages” — that is, premature deaths from air pollution. A National Academy news release is available here and the report itself here. Requested by Congress, the report assesses what economists call external effects caused by various energy sources over their entire life cycle — for example, not only the pollution generated when gasoline is used to run a car but also the pollution created by extracting and refining oil and transporting fuel to gas stations. Because these effects are not reflected in energy prices, government, businesses and consumers may not realize the full impact of their choices. When such market failures occur, a case can be made for government interventions — such as regulations, taxes or tradable permits — to address these external costs, the report says. Dunkard Creek fish kill: A wake-up call for WVDEP? October 15, 2009 by Ken Ward Jr.
We’ve discussed before the broader implications of the fish-kill disaster on Dunkard Creek in Northern West Virginia, and how it highlights the dangers of the Department of Environmental Protection’s failure to set water quality standards for total dissolved solids or write cleanup plans to address increased conductivity in streams across the state. It might be that it takes this kind of terrible incident to shake the folks at WVDEP into moving more quickly to deal with both of these important issues. It certainly changed the playing field a little bit. While he didn’t make this clear in his prepared presentation to a special legislative interim committee on water issues, Mandirola said he generally agrees with the conclusions of the Pennsylvania Department of Environmental Protection, which has blamed CONSOL Energy mining discharges for the salty water conditions that allowed golden algae to grow to dangerously toxic levels in Dunkard Creek. We can’t ignore it. If we ignore it, we may see an event like this again. I’ll have more on today’s legislative meeting in tomorrow’s Gazette. In the meantime, you can check out presentations by WVDEP and the state Division of Natural Resources on the fish kill here and here. October 14, 2009 by Ken Ward Jr. While I was busy blogging about the big Army Corps of Engineers public hearing on mountaintop removal, my buddy Don Hopey at the Pittsburgh Post-Gazette was tracking down the latest on the Dunkard Creek fish kill. A heretofore undisclosed underground flow of mine pool water between Consol Energy’s Blacksville No. 1 and No. 2 mines may have contributed to the highly salty, polluted discharges that caused the massive, month-long fish kill on Dunkard Creek. 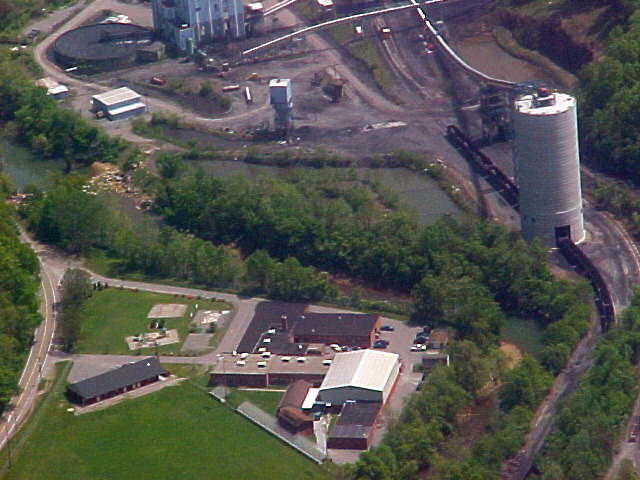 The Pennsylvania Department of Environmental Protection said stream sampling shows discharges high in dissolved solids and chlorides from Consol Energy’s Blacksville No. 2 Mine are the “primary immediate source” of the fish kill that last month wiped out aquatic life on 35 miles of the 38-mile stream that meanders along the Pennsylvania-West Virginia border. October 12, 2009 by Ken Ward Jr.
… The governor would never send any child to a school that isn’t safe, sound or sanitary. We rely on experts to examine building conditions and to make those determinations. As Part I showed, the Manchin administration’s “experts” didn’t bother to actually test the air that kids are breathing down at Marsh Fork Elementary … but some other folks have done that, as part of a lawsuit filed against Massey Energy by some local residents over alleged pollution problems related to the company’s Goals Coal Co. processing plant. Scott Simonton, a Marshall University professor and member of the state Environmental Quality Board, submitted this expert report to Kevin Thompson, a lawyer for the residents. The report, dated October 2008, is part of the court record and I’ve posted it online. This dust not only impacts the exterior areas of the school, but interior areas as well. Photo by Britney Williams, courtesy Coal River Mountain Watch. We don’t look for chemicals. Which chemicals would you look for? There’s a bazillion of them. 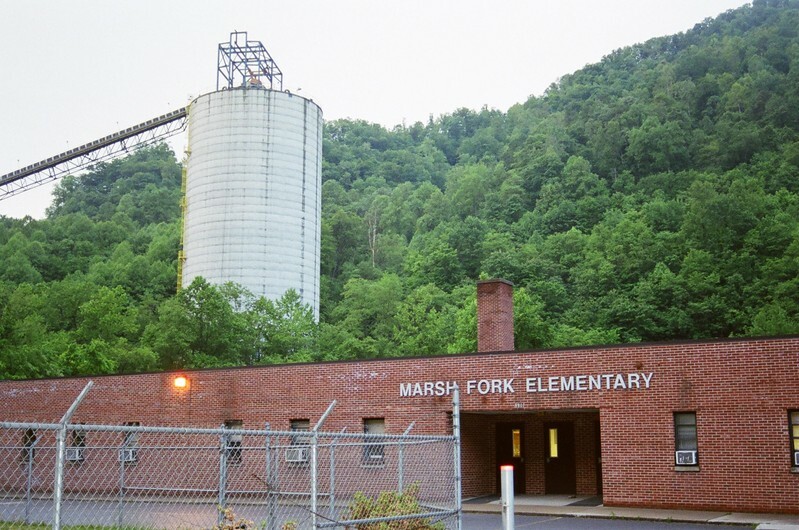 As Marsh Fork Elementary School continues to be in the news, there’s a lot of noise out there about “tests” that Massey Energy and its supporters on this issue (including, interestingly enough, Gov. Joe Manchin) say show that the school is perfectly safe. Cook cites the results of tests on soil and air at the school that have yet to raise red flags. The Goals facility has been inspected numerous times by environmental consultants and federal and state regulatory personnel whose findings have confirmed the safety of the facility. But, it is also important to understand why local school officials don’t think the school is unsafe — and why these “tests” haven’t shown any problems. The answer is pretty clear: Local folks think the school is safe because the Manchin administration told them so. And, the Manchin administration told them so because state and federal agencies conducted inadequate inspections that didn’t bother to actually test the quality of the air students at the school breath. Find that hard to believe? Well, let’s rewind the story again, back to the summer of 2005. October 1, 2009 by Ken Ward Jr. In Sunday’s big Gazette story about the Dunkard Creek fish kill, I reported that local residents were asking the U.S. Environmental Protection Agency to take over the investigation and response to this mess. The Friends of Dunkard Creek of Pennsylvania, Dunkard Creek Watershed Association of West Virginia, Wheeling Creek Watershed Conservancy and the Greene County Watershed Alliance urge the US Environmental Protection Administration to take the lead role in the investigation of the biological disaster that killed over 130 species of aquatic life in Dunkard Creek. September 14, 2009 by Ken Ward Jr. 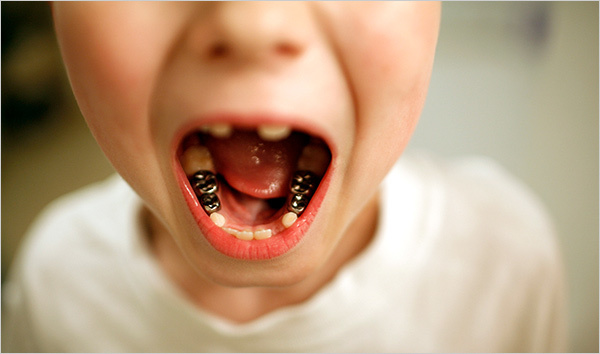 The edition of the Times featured a four-column-wide photo at the top of 1A showing a seven-year-old West Virginia boy’s damaged teeth, linked by his dentists on the polluted drinking water his family blames on the underground injection of coal slurry. The photo is here in the online edition of the story. Far too often, these kinds of coal-related stories paint the problems as something that’s happening in a far-away land, someplace none of us really needs to think about or be concerned with. 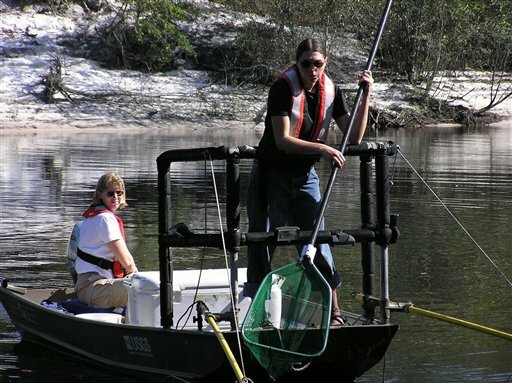 The Times story is part of a multi-part series the paper is doing about water quality issues. The previous story, Debating how much weed killer is safe in your water glass, was also written by reporter Charles Duhigg, and is worth giving a read. August 19, 2009 by Ken Ward Jr.
No fish can escape mercury pollution. About a quarter of these fish were found to contain mercury at levels exceeding the criterion for the protection of people who consume average amounts of fish, established by the U.S. Environmental Protection Agency. More than two-thirds of the fish exceeded the U.S. EPA level of concern for fish-eating mammals. Atmospheric mercury is the main source to most of these streams — coal-fired power plants are the largest source of mercury emissions in the United States — but 59 of the streams also were potentially affected by gold and mercury mining. 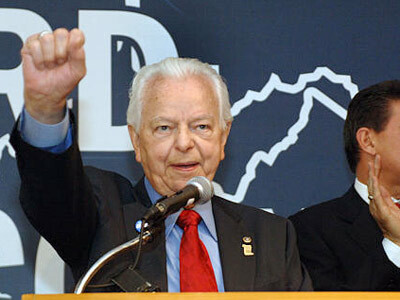 Rahall and coal: What’s next? 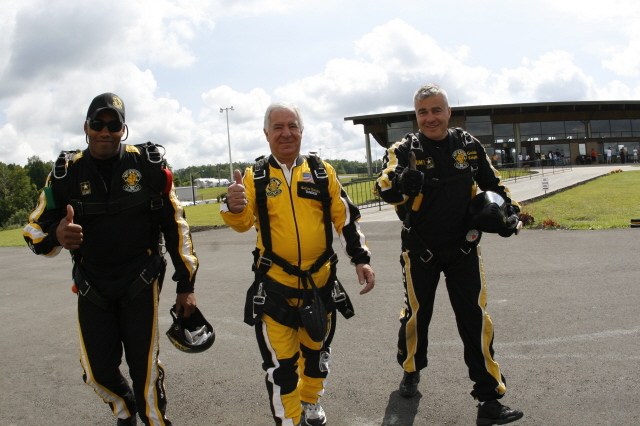 Congressman Nick J. Rahall certainly got a lot of attention for his weekend stunt skydiving to show his support for the coal industry. (He’s shown above giving the ol’ Thumbs-up before the jump). Next month Rahall will be shot out of a cannon over the New River to show how much he loves healthcare. There’s more commentary from The Huffington Post,Â The Washington Independent, Grist, and Politico. Over the last few weeks, there have been a lot of rumblings from folks in the coal industry about the big West Virginia University study that concluded the adverse health effects of coal mining in Appalachian far outweigh the industry’s economic contribution to the region. I give Roger Nicholson, vice president and general counsel of International Coal Group, credit for actually trying to respond in writing in a public forum, rather than grumbling in private. But in his Sunday Gazette-Mail commentary, Nicholson hardly lays a glove on the study.Â And because he spends little time or effort in actually critiquing the methods of the study, his criticism doesn’t amount to much as far as really discussing the costs and benefits of coal — or what role coal could or should play in the region’s future. Well, it’s worth noting that this study appeared in a respected scientific journal, Public Health Reports — a journal that puts such articles through an accepted peer-review examination before they are published. Like the previous coal-related articles by Hendryx, this one went through the process that science recognizes for an examination of factual and methodological rigor. That doesn’t mean it is a perfect study. There is no such thing. But unlike the pro-coal studies that industry officials prefer the public to focus on — see examples here and here — the work Hendryx is doing is being reviewed and approved by other scientists as meeting accepted standards. Does WVDEP have enough mining inspectors? July 7, 2009 by Ken Ward Jr. The number of positions for strip-mining regulators at the WVDEP has dropped by nearly 6 percent over the last decade. The chart is based on U.S. OSMRE figures, and shows total number of positions, including vacancies. I admit it. I’m a sucker for West Virginia’s Blue‘s periodic questions about West Virginia’s coal industry. I can’t help but jump in and try to answer them. How many unfilled positions are there at the W.Va. DEP? What is the history of unfilled positions in the department? I’m not going to take on the whole of WVDEP here. This is Coal Tattoo after all … But I’ll take a shot at answers this as it applies to the WVDEP Division of Mining and Reclamation, which is charged with policing the environmental impacts of our state’s coal-mining industry. The short answer? The DEP and its predecessor agencies have never had as many inspectors, permit reviewed and other mining staff asÂ federal regulators suggested. Today, the DEP mining division lists 13 vacancies. But that number is misleading, because the agency over the last year or so has eliminated at least 9 long-vacant positions.Â WVDEP lists 270 positions, but has the equivalent of 257 full-time employees in its mining office. 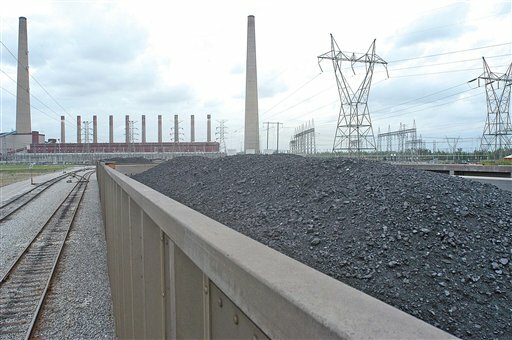 Without CCS, is coal facing ‘valley of death’? July 6, 2009 by Ken Ward Jr.
More evidence today about the troubles the coal industry faces — and about a decline that seems inevitable if a way isn’t found to capture and store carbon dioxide emissions on a widespread scale. As it stands now, the amount of money dedicated to coal in this bill is remarkable, and the future of coal will be intact. If this [bill] does what they want it to do, I would say coal is on its way out.